Meljean Brook’s Guardian is my favorite paranormal romance series. Interesting characters, interesting story, and I love the writing. I know all that and yet when I’m reading one I’m always surprised by how much I like the novels in this series and then I’m always asking myself why I waited so long to read the next in the series. Strange, isn’t it? 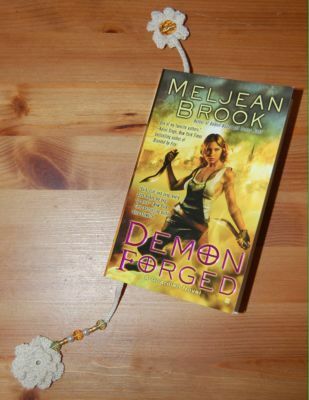 Demon Forged is no exception. I had it in my TBR pile for some months now. “No threat to us.” Alejandro stared down at her over his aristocratic nose. He’d vanished the nosferatu’s blood from his skin and clothes; hers were still streaked and splattered with crimson. I love how Alejandro points out the contradiction in what Irena says and yet I understand why Irena says it. The part about Irena’s deep appreciation for Daniel Day-Lewis leather stocking just cracks me up. I also had an immediate picture in my mind. And I also really like that Taylor, a human, has to run flat-out whereas Irena, a Guardian, just needs to trot. It’s just a tiny detail but it shows the differences between humans and Guardians and so adds to characterization. The two quotes are not the most “special” or “important” in the story, but they are good examples of why I like the writing and the way the novels are written in this series. WHY THIS NOVEL: I have the impression that there is actually a plan for the background story in this series. Plus, I love the way Brook writes her characters. In short: this is my favorite paranormal series. “Among the Guardians, Alice Grey is known as the Black Widow–a woman trapped in a web spun by the demon Teqon. 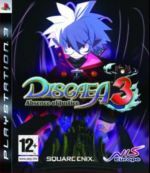 To save her soul, she agreed to deliver to Teqon the heart of the oldest and most powerful Guardian of all, or else be damned for eternity. After more than a hundred years, Teqon is calling in his debt. I always saw the ongoing story arc in the Guardian series as concerned with the question of free will. Demon Bound is a perfect example of this with it’s present time story line and the story line about the history of the Guardians. Even more, the present story line has two characters who strive to do the right thing (even if they are afraid) while the story line about the Guardians looks at the question if doing something out of goodness means doing the right thing. What reasons are there to do things? All relevant story lines and elements are present in this chapter. Alice’s bargain with Teqon, the mysterious history of the Guardians, Alice and Jake’s romance (they kiss, after all! ), Alice’s and Jake’s character. Great chapter! Alice likes to keep to herself and others away, and she has quite a few things up her sleeve to achieve that. She’s creepy as hell but badass (in a good way) at the same time and she has to settle her nerves quite frequently. She also has her special kind of humor and wit. Alice smiled into the night sky. What a wretched creature she was. A Guardian possessed of extraordinary powers, yet blind and deaf without eight-legged companions. But he never sets out to be cruel on purpose. He’s also quick to learn and very perceptive. He’s confident but he scares easily. Nevertheless, he finds the strength and courage to do what needs to be done. He’s honorable and tries to do the “right” thing. Jake nearly goes crazy trying to get through to Alice after he thinks differently because Alice of course thinks Jake’s not interested in her. So good. It’s really great how they learn to look closer and discover each other. He [Drifter] was going to leave it there, but Jake wouldn’t. No matter how much it cost him. Irena broke out with a loud laugh, startling the humans around them. Charlie groaned, and Jake tossed a five-dollar bill on the table in front of Drifter. A human couldn’t have tracked the speed at which Alice reached over, pinched the money, and sat again. Jake’s body tightened, but he forced his mind of of her skirts. Tried to. When she moved quickly, everything rigid became supple, her body long and fluid. But the best thing about them is: they know each other. foreshadowing something revealed later. Small details count. Alice contemplating rubbing against Jake’s thigh wedged between her legs when they are trapped in a small niche by nephilim. “An inch, she thought, over the course of an hour” (117). Spiders creep me out and yet reading this book, I nearly became fascinated by them. There are a few things that seemed too convenient for me. Except for the Spiderman-like escape, the middle part was a bit slow. A lot of background info was revealed (Alice, the Guardians) and the revelation about the Guardians had Alice and Jake in a rather passive role. 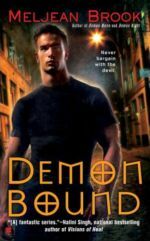 But I liked a lot of things in this novel, so I didn’t really care much about my “problems.” Demon Bound is my favorite in the “Guardians” series so far. WHY THIS NOVEL: I read the two previous novels so it was no question about reading this one. “Charlie Newcomb worked hard to get her life back together. But all that is shaken when she’s set upon by three vampires desperate to transform her beauty into something evil. Because Charlie is the vital link to something they want – and need: Charlie’s flesh-and-blood sister, a medical scientist whose knowledge could be invaluable to the predators. I wrote these comments around 5 a.m. 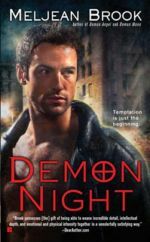 This came about like this: I finished reading Demon Night and then didn’t know how and, more importantly, what to write about it. I went to bed and woke up at 4 a.m. without being able to get back to sleep again. With nothing much to do, I thought again about Demon Night. My thoughts were still muddled and chasing each other so to get some semblance of order (to be able to sleep again), I came up with four categories. At five, I realized I definitely wouldn’t be able to go back to sleep and I got up and wrote down the whole stuff. Looking at my list now, I decided to keep it like it is. I like it this way. DISCLAIMER: Although there are categories labelled “subjective” and “objective” what goes where is hugely subjective and debateable. The way it is here, it’s the way I see it. Ethan’s “Miss Charlie” started to irritate me after some time. Charlie’s most important character trait is her neediness / her dependence on other persons. I know what Brook is getting at here but for me it didn’t completely work because in the background I also got this vibe that “needy = not worthy to be loved” (putting a condition on who is worthy to be loved) which doesn’t sit well with me. I thought Ethan’s “slowness” at the end annoying. Are Ethan and Charlie in love or in lust? The powerful attraction between them overshadowed this difference a bit for me. There are two Huh?-instances (mostly because I thought something was missing). Ethan’s “slowness” at the end of the novel seemed out of character which was why I was annoyed by it (see above). Everything can become important. Example: the reader gets to see how Charlie and her sister prepare to cook together. It’s clear that they don’t have much experience but they want to make a duck. Later in the story there’s one sentence about Charlie’s coat still smelling of burnt duck. This example is about something that’s not important for the story but it illustrates Brook way to write. Everything can count and the reader has to keep up. Internal conflict: the heroine is thrown into a situation where her weakness and so the challenge of her life (her tendency to depend on others) is the very thing she has to do/is needed for what she has to do to survive. Talk about character development. As with the previous two novels I read by Brook, this is nitpicking on a high level. 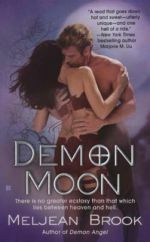 Demon Night is an intelligent read and keeps you on your toes. It makes me really happy-happy. On another note: Meljean Brook posted a hint for the next one. And I – skipping around the room here – I knowz. I ordered this because I liked Bird’s A Man in a Million. The Billionaire next Door (now it’s billionaire? *snort*) is a nice read. The heroine, Lizzy, is a nurse and Sean, the hero, is some high-level New York something. 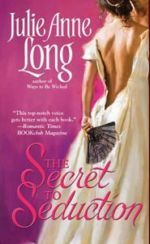 It’s a story about trust and the lack of it, and although this premise leaves a lot of room for misunderstandings – and they do happen – they’re not stupid and handled rather well. Plus, Lizzy doesn’t take crap from Sean, tells him what she thinks of his behaviour, and acts accordingly. This is a very character-driven story. In terms of action, there’s not much that happens: some creatures discovered a way to escape Chaos and Colin’s the only one who can fix it. And yet, there’s nothing boring or slow about this story. I had fun reading it. The end felt a bit too wrapped up and fast and why is it that every on in this story is super smart? Previously, I read one other novel by Long and what I remember best about it is that I liked her voice and that I thought she showed the falling-in-love part rather well. And these are the things I like best about TSTS also. There are some wonderful parts in there. I know this is the end of a series, and I the other novel I read by Long was not part of it, but I didn’t feel too lost. I found the parts about the sisters a bit annoying/distracting but that’s probably because I didn’t read their stories. At the end, there is something I just couldn’t wrap my head around that it could happen. It involves a newspaper, and even an editor would do such a thing (*snort*), I would doubt the amount of money mentioned here. 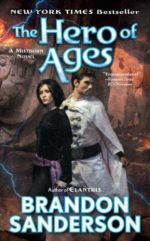 Robin D. Owens’s “Heart Mate” series features a lot of elements I’m not too crazy about: cutesy names for people and things along with cutesy animals, an abundance of apostrophes, the soul-mate premise, and a writing style that, while it’s not bad, doesn’t really click the way Long’s does, for example. And yet this is the third novel by Owens I read. Why? Well, I like Owens world and I think there is a lot of potential to create conflict because of the strong ties that exist between character and Flair. 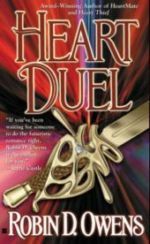 In Heart Duel we have a hero with a Flair for fighting and a heroine with a Flair for healing. The problem I always have with her novels is that in my eyes Owens’s has yet to realize fully the potential for conflict. It’s all a bit understated. For example, when the hero learns about his heartmate it goes something like this: “lalala heartmate lalalala.” For me, this short scene didn’t convey the emotions I expected after a) suddenly discovering that there is a heartmate for you (thinking your whole life you don’t have one) and b) it’s the daughter of the enemy. It felt anti-climatic and I had to “fill in the blanks” more than I liked. There are other instances where I got the same feeling which often made for a disjointed read. I think a few sentences now and then (“telling” would suffice) would help my over-dramatic and melodramatic little self there. Anyway, I keep buying and waiting and hoping that one day there’s a story that hits all the right notes for me because somehow I like Owens world. This one got better after a slow start. I really enjoyed this story. Starting with the climax was a good way to keep me reading. 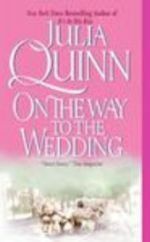 After all, romance readers know that the hero and the heroine will end up together. So in OTWTTW, there’s not only the question how the hero and the heroine will fall in love but also, what happened that the heroine is about to marry another man at the end of the novel. And all that is delivered with nice characters and a closer look at falling in love at first sight, being in love, and loving someone. In the whirl of all this, the historically incorrect solution didn’t bother me at all. I was pleasantly surprised with this novel. Now this is a romantic suspense novel deserving of of both its name. 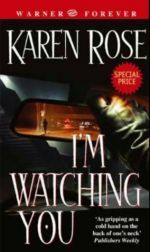 Too often, I find romantic suspense lacking in suspense and/or romance. It’s a combination that’s not easy to get right, at least to keep me interested. But Rose hit nearly all the right notes for me with this one.